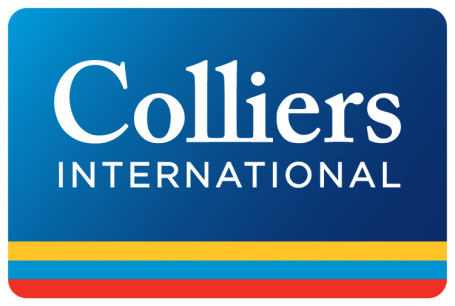 TORONTO, Canada, November 2, 2015 – Colliers International Group Inc. (NASDAQ: CIGI; TSX: CIG) today reported operating and financial results for its third quarter ended September 30, 2015. All amounts are in US dollars. Revenues for the third quarter were $420.3 million, a 13% increase (25% in local currency) relative to the same quarter in the prior year, Adjusted EBITDA was $43.0 million, up 39% (55% in local currency) and Adjusted EPS was $0.52, a 49% increase versus the prior year quarter. GAAP EPS from continuing operations was $0.20 per share in the quarter, versus $0.26 per share for the same quarter a year ago. Third quarter adjusted EPS and GAAP EPS would have been approximately $0.08 higher excluding foreign exchange impacts. For the nine months ended September 30, 2015, revenues were $1.17 billion, a 12% increase (24% in local currency) relative to the comparable prior year period, Adjusted EBITDA was $102.2 million, up 28% (44% in local currency), and Adjusted EPS was $1.21, up 41% versus the prior year period. GAAP EPS from continuing operations for the nine month period was a loss of $0.37 per share, compared to $0.10 per share in the prior year period with the decline attributable to one-time transaction costs and stock-based compensation, both related to the separation from FirstService completed on June 1, 2015. Year-to-date adjusted EPS and GAAP EPS would have been approximately $0.18 higher excluding foreign exchange impacts. “Colliers continued to deliver strong financial results in the third quarter despite significant foreign currency headwinds as only 38% of our revenues are generated in the US. Strong internal revenue growth and significant margin expansion was also achieved, especially in the Americas and EMEA regions. We remain confident in our revenue pipelines for the balance of the year, although mindful of the impact that foreign currency changes can have on our year end results,” said Jay S. Hennick, Chairman and CEO of Colliers International. “During the quarter, we completed several strategic acquisitions, expanding our presence in two important US markets and strengthening our existing businesses in Belgium and Northern Africa. With our disciplined growth strategy, 20 year track record of success and strong balance sheet, Colliers International is better positioned than ever to continue building our global platform in the years to come” he concluded.